The Endeavor HD 82A Spotting Scope with Espod CX 1 OS Tripod and Supreme 40F Waterproof Hard Case from Vanguard is the perfect bundle for the outdoor enthusiast on the move. The optical system employs extra-low dispersion glass (ED) to ensure accurate color rendition and virtually eliminate color fringing. The aluminum alloy tripod utilizes a smooth and precise three-way pan head. 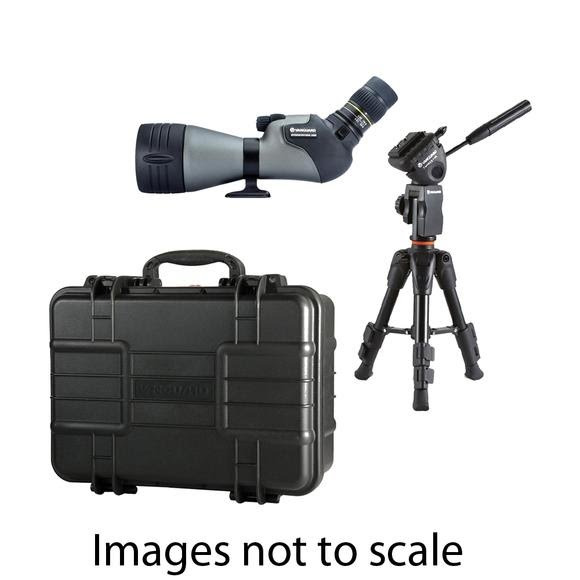 The Endeavor HD 82A Spotting Scope with Espod CX 1 OS Tripod and Supreme 40F Waterproof Hard Case from Vanguard is the perfect bundle for the outdoor enthusiast on the move. The optical system employs extra-low dispersion glass (ED) to ensure accurate color rendition and virtually eliminate color fringing. The aluminum alloy tripod utilizes a smooth and precise three-way pan head. The carrying case is waterproof and airtight.